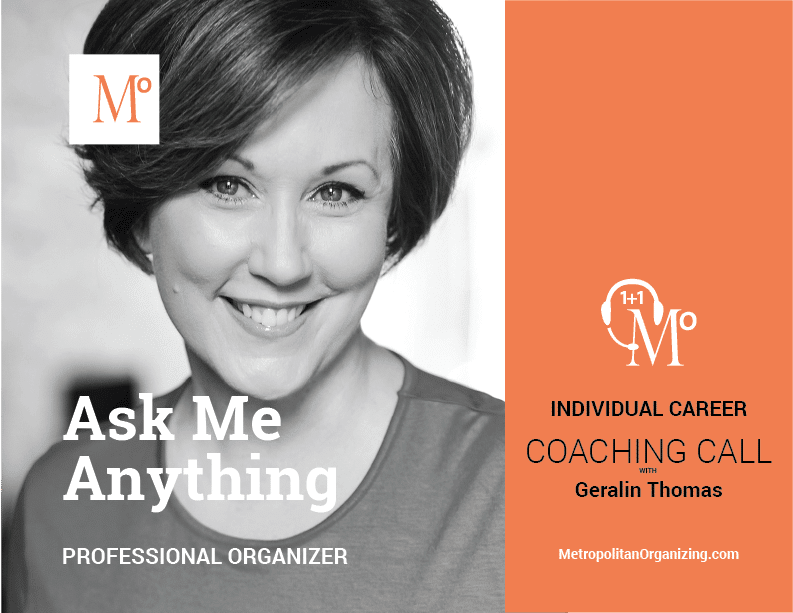 Get specific answers and insights to grow your professional organizing business with career coaching from Geralin Thomas. I scheduled a few private coaching sessions with Geralin and set a financial goal for Get Organized Already that seemed way out there — like something we could get to in three years, maybe. If the planets aligned. Well, when I reconciled the books for the year, we had met the goal thanks to the clear direction and invaluable benefit of Geralin's experience. 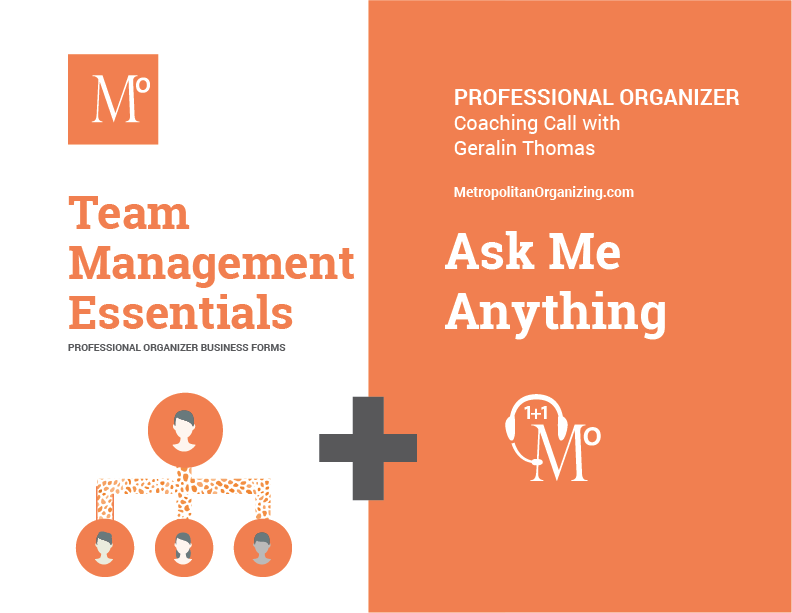 My 1+1 professional organizer career coaching calls are all about you. There are no expensive packages that need to be pre-purchased; buy one call at a time as your budget and calendar permit. I’ll help you with any topic related to starting, growing or sustaining your professional organizing business. Once payment is confirmed, an email will be sent to you. Answer the questions, sign, and return the email. Your answers to the questions will help me provide advice and suggestions based on the topics and concerns that are of most interest to you. You will call Metropolitan Organizing at a mutually agreed upon time and date. Each call will last up to 60 minutes. You agree to select specific topics for discussion and email them in advance. If you need to reschedule our appointment, 24 hours notice is required. Metropolitan Organizing does not guarantee the participant’s success in their business nor assume responsibility to the participant’s ability or inability to obtain value from this program. Typical calls cover topics like these but remember, you can ask me anything. Yes, anything. Really!